Cities Connection Project | STUDENT HOUSING BUILDING. GENÈVE. The building fills a narrow gap in the formerly industrial 19th century quarter and adds a fourth façade to the Place des Volontaires. The project aims to unite the two existing urban structures, which derive from different development strategies. While blocks from the 1960s are adjacent to the plot on the side and the back, the block perimeter development has been reconstructed since the 1980s. 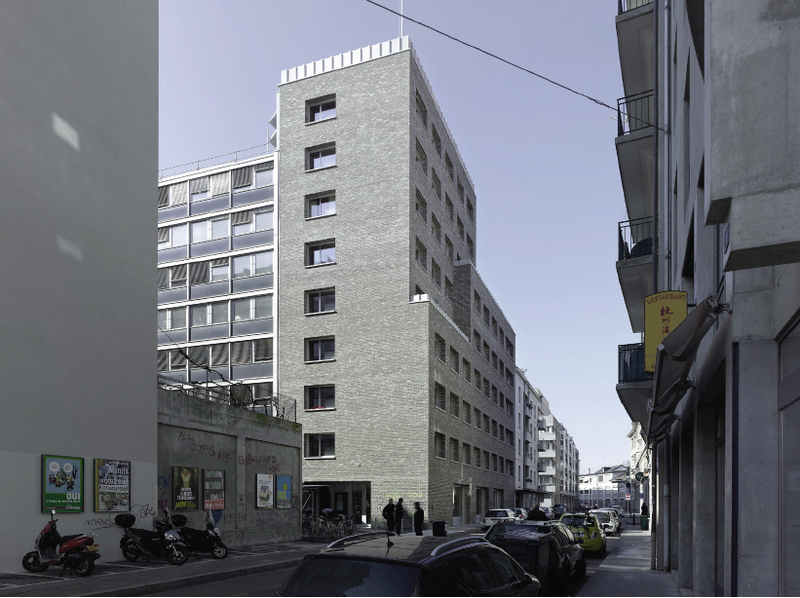 The project was developed in a dialogue between the client, a cooperative for student housing and the future occupants. Certain regulations had to be fulfilled, both with respect to remaining within the budget and achieving the “Minergie Plus Eco” certificate. The legal requirements were all interpreted to the project’s advantage. The protruding façade elements maintain the required distance from the street, while the window apertures fulfil the insulation standards. The prefabricated concrete parapets regulate the superelevation of the insulated terraces and balconies. The former regulations created various possibilities for interpreting the volume and ornamentic elements, evoking an imaginary world for the city’s residents. 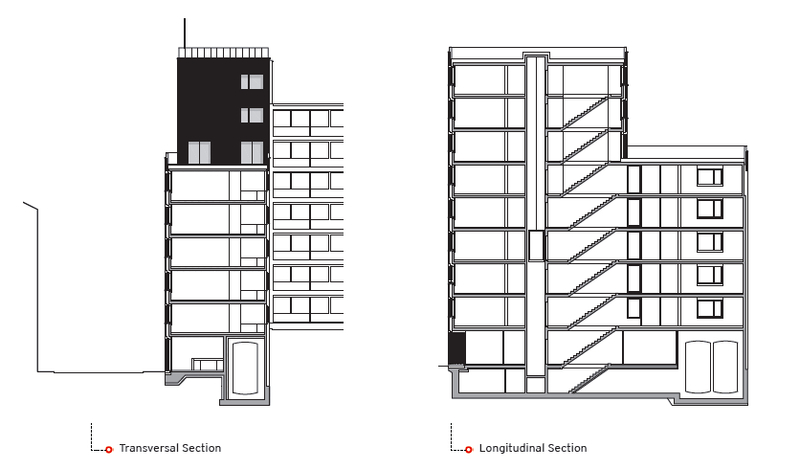 The communal living in the building is grouped in five to seven bedrooms around a common room. A large common terrace on the sixth floor provides a wonderful view of the city and the River Rhone.